It seems China can't get enough of motion control gaming, so much so that another Chinese company has come out to debut their own camera capture motion device, the i-move. 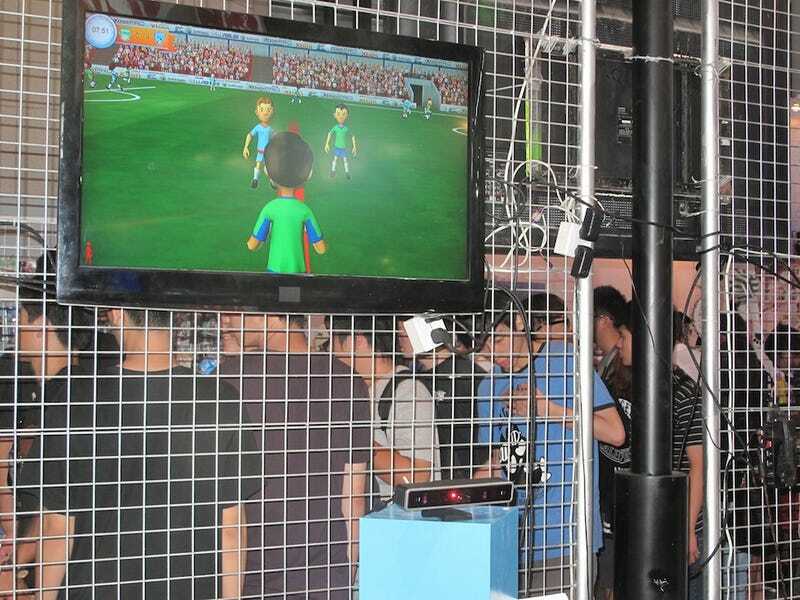 Spotted in this year's China Joy gaming expo, Shanghai Motion Technology company's i-move takes two things that are constantly copied in China and merges it into one being: the "i" moniker and the Microsoft Kinect. Taking a leaf out of the Lenovo backed Eedoo CT-510 the i-move will be marketed and sold in China as a multimedia game machine. Interestingly enough the i-move, sports pretty much the same games that are found in the CT-510 as well as the same functions, although it doesn't look half as sleek as the CT-510. In its brochure, SMT says the the i-move is the perfect family media center that can also be used for education, exercise and fitness, reading, and its own private community. The last part confuses me... how exactly is this multimedia gaming device its own community? It's interesting to see how the i-move will do considering that the CT-510 was considered a dud. The CT-510 was released at the end of May this year for US$600 and with little or no marketing. After a month of dismal sales, eedoo let go of its marketing executive among other staff. According to the spokesperson at the i-move China Joy booth, the i-move is expected to go on sale later this year with a price tag around $500. Good luck with that.